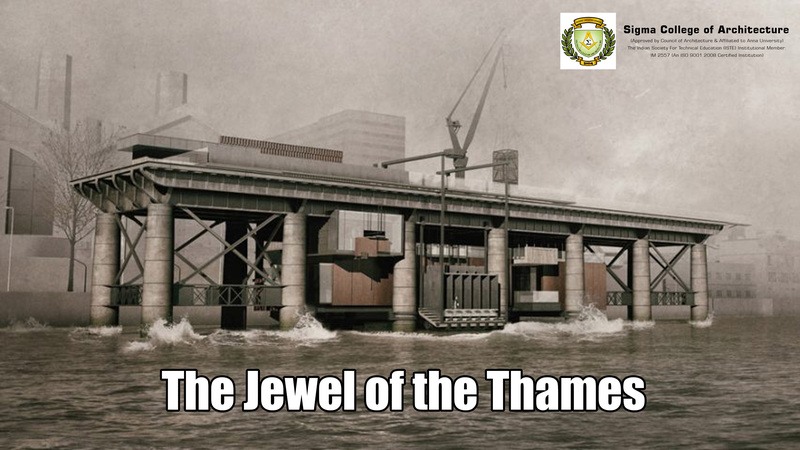 As part of the London's Royal College of Art programme's Obsolescence section which asked students to draw up proposals for the reuse of abandoned buildings and structures, graduate Jiaji Shen has proposed transforming a disused pier on London's River Thames into a workshop for a designer who makes jewelry with items scavenged from the mud. The proposal includes a workshop, studio and gallery for a ‘mudlarking’ which is a term referring to the 18th-century occupation of those who scavenged river banks for valuable, discarded materials that they could sell on. Shen's design is used to slot underneath the existing jetty and top it with the loading bay all suspended above the water by cranes that loop overhead. The design incorporates the changing levels of the tidal river by including a set of steps that lead down to match the height of the water when it comes in. Here at Sigma College of Architecture, one of the Top Architectural Colleges in Tamil Nadu we help our students broaden their horizons by educating them on projects that challenge the natural limitations of the building.